Yesterday whilst on Twitter I saw this photo pop up on my feed. It reminded me fondly of year 6 camp, long before the invention of selfies. I hate to tell you people, but the ol’ let’s put our heads together for a photo has been around a lot longer than the iPhone, in fact, I was spreading my lice infested hair all over other kids with the use of a disposable camera. Sheer brilliance. There are a few standout memories from my childhood and almost all of them involve lice. In Australia in the 90’s there was a KNIT NURSE who visited schools. 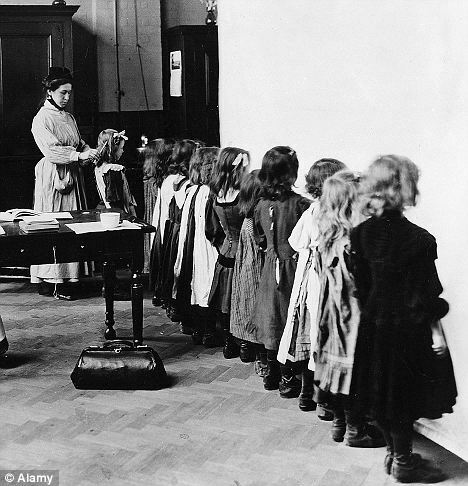 All the children would line up (probably increasing the spread of lice – they can jump) and walk one by one into a hall. In the middle of the school hall there were two seats with two middle-aged nurses behind them. They wore hair-nets, rubber gloves and dour expressions. YOUR CHILD HAS LICE! 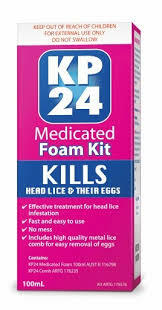 To avoid a school wide infestation, we ask that you apply the following treatment to your child’s hair…. What followed was worse that the constant itch of lice. In order to remove the lice from their happy homes, a thin toothed, metal comb was raked across your scalp. You would then be covered in a variety of potions. My mother, being a hippy, attempted to use herbal remedies the first 3 times, however, the lovely Oil and Lavender concoction she made was essentially a day spa that my lice frolicked in. 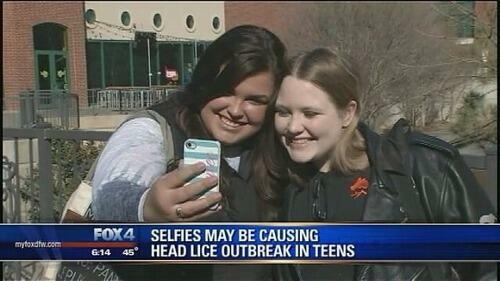 No, the only thing that worked on real, nuclear holocaust surviving lice was something far worse. KP24. It seared the skull and the smell of it burnt your eyes. I was sure it was 9 parts kerosene, but it was the only thing that truly destroyed lice. The tragic part was that it had a very distinctive smell. A smell that every child was familiar with. It was the Eu de Cologne of Exclusion. Kids are cruel at the best of times and giving them added ammunition is never a good idea. At playtime after the KNIT NURSE had visited, we would scour the school yard to spot who was missing. When we found out who was at the center of the infestation we would avoid them for weeks when they returned to school, their poor KP24 soaked skulls stinking up the corridors. Kids don’t forget and they certainly don’t forgive. The golden rule with putrid farts is, “who ever smelt it, dealt it.” I believe this is one of life’s cardinal rules and it certainly applied to knit infestations. Despite denial at the time, I believe was responsible for 90% of the lice outbreaks in my year level. Perhaps not alone, but let’s be honest it only takes one kid with an itchy head and a passion for hugging others. I’m a hugger. I’ve always been a hugger.